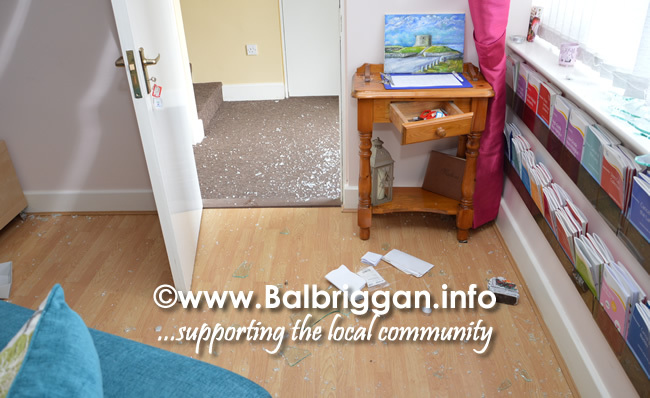 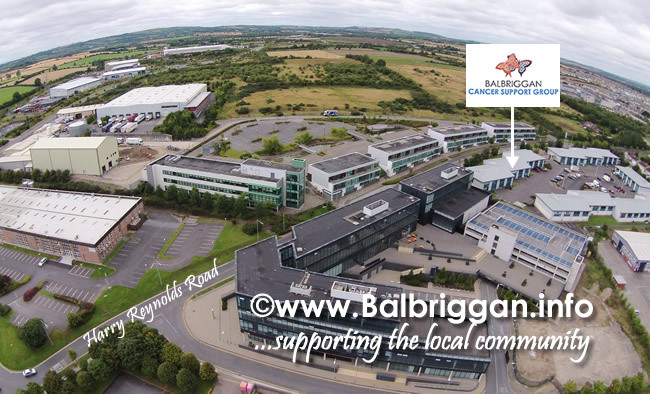 Early this morning the centre at Balbriggan Cancer Support group was broken into. 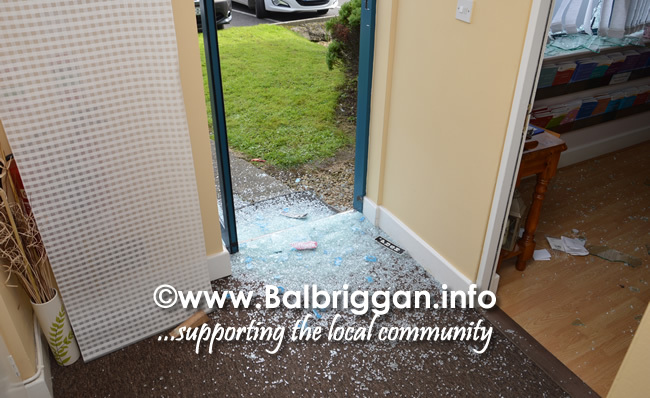 Windows and doors were smashed and once inside the burglars ransacked the premises. 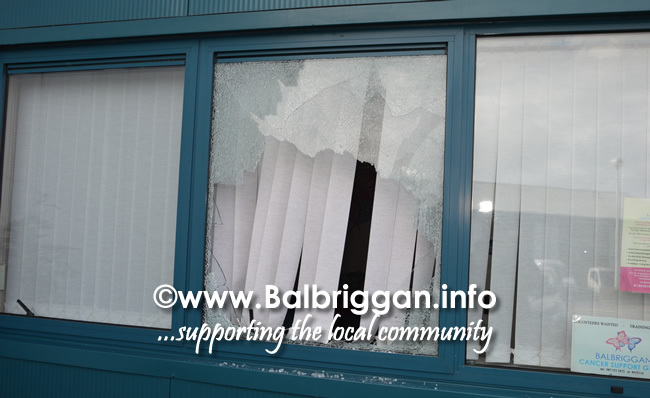 Computers and other items were stolen from the centre resulting in the closure of the centre for the next week. 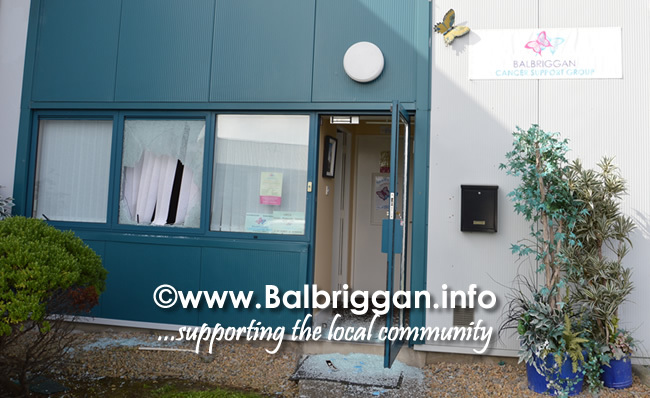 It is shocking to see this happening in our town particularly to a cancer support group who help so many people from inside and outside the town. 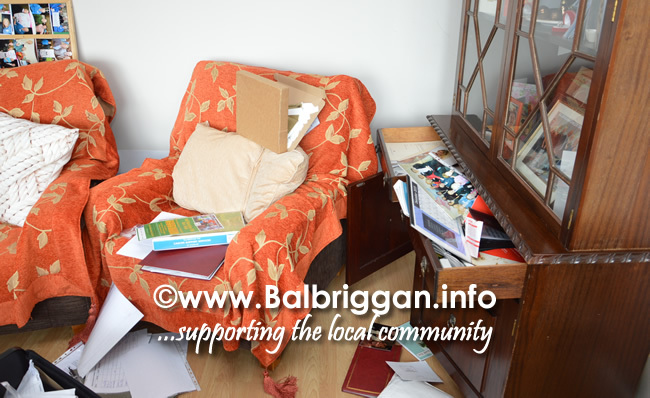 If anyone was passing or has any information please contact Balbriggan Garda Station 01 8412202.